Jim Feist is off to a fast start in baseball, 15-7, +771 Units through his first 22 releases. Join a Vegas pro with over 47 years of winning experience for his NBA playoff and Baseball winning plays today! Guaranteed to show a profit or you get an additional 1 day of NBA FREE! Seven days of premium NBA picks and analysis, straight from legendary handicapper Jim Feist. All his analysis and insight brought to the table each night. Don't hope to win, sit back, play with a pro and KNOW you have an ace on your side! Guaranteed to show a profit or you get an additional 7 days of NBA FREE! Get every play released for Jim Feist in all sports for one full month! One month of premium NBA picks and analysis from Jim Feist for $399. If you like action every night, don't sit around and hope to win, play with a pro and KNOW you have the best edge in the game! Guaranteed to show a profit or you get an additional 30 days of NBA FREE! You'll learn how the pros make a living via sports betting with EVERY PLAY released over the next 365 days. We are so sure we'll profit that we GUARANTEE it with a full year for free! 9-5 run in NHL dating back to 11/30/17. Now on a 8-6 run with my last 14 Basketball picks! $1,000/game players have cashed in $13,280 on my Basketball picks since 03/10/18! Get every single selection released by this handicapper in the NBA over the course of the ENTIRE season! That is every side, every total and every top play through the end of the NBA Finals! Spurs look to take a commanding 3-1 lead after tonight's contest at home against Denver. The Spurs won their last game against Denver at home, 118-108 as a 4.5-point favorite. Right now the Spurs are winning the back-court battle as their guard duo of Derrick White and DeMar DeRozan are playing the better ball. DeRozan and White combined for 61 points in game three. The Nuggets have now lost 14 straight games at San Antonio dating back to 2012. The Nuggets will have to find a way to win at San Antonio if they want to advance in these playoffs, something they haven't been able to do in seven years. The games have been close in the 4th, but the Spurs experience seems to be winning the day. Take San Antonio again here on Saturday. The Colorado Rockies had a rocky start to the season with a 4-12 beginning. However, they seem to have turned things around of late, winning five-straight games. The Rockies have taken two straight from the Phillies, outscoring Philly 10-5 in the process. The pitching has been excellent during this five-game stretch, allowing less than 2-runs per game average. Antonio Senzatela will start today for the Rockies. Senzatela has a fine 1.35 ERA in his only start, allowing just one run over 6 2/3 innings to the Padres to get the win. Philly started the season 11-6 before losing its last two games to Colorado and dropping to 11-8. Aaron Nola gets the start today for Philly and is 1-0 in his four starts this year. Nola has a lofty 7.45 ERA and 1.655 WHIP. Nola has also had control issues, walking 11 batters in just 19 1/3 innings. The Rockies are hot and they have a very good pitcher on the hill today. I am taking Colorado tonight. The Cincinnati Reds started the season horribly, winning just one time in their first nine games. Then they won four straight and again lost four straight. Now they have won two straight over the host team San Diego, winning the opener 4-1 and then yesterday 3-2, both as dogs. Luis Castillo gets the start today for the Reds with a 1-1 record in his four starts. Castillo has a nifty 1.46 ERA with an impressive 0.892 WHIP. Castillo has not allowed over two runs in any of his four starts this season. The Padres have now lost five straight games to drop to 11-10 on the season. Eric Lauer will toe the rubber today for the Padres. Lauer is 2-2 in his four starts with a 4.91 ERA and 1.364 WHIP. Lauer has been ok, but nothing spectacular. And against today's starter in Castillo, Lauer will have to better then he has. This game basically a pick'em and I like the red-hot Castillo here. Play Cincinnati. The Blue Jays beat the A's on Friday evening, 5-1. The win improved the Jays to 9-12 on the season and winners of two straight. The A's loss on Friday dropped them to .500 at 11-11. The Jays will start Matt Shoemaker today. Shoemaker is 3-0 in his four starts with a nifty 1.75 ERA and 0.857 WHIP on the season. In addition, Shoemaker has 23 KO's to nine walks. Michael Fiers starts today for Oakland. Fiers is 2-1 in his five starts with a 7.06 ERA and 1.569 WHIP. Fiers has been hit hard in his last two starts, allowing 12 runs and 14 hits over just 6 2/3 innings. Hard to pass on the Blue Jays as a nice dog here today with a very hot Shoemaker on the hill and Fiers struggling very badly in his last two starts. Play Toronto. The Milwaukee Bucks are showing just why they were the best team in the NBA this regular season with 60 wins. The Bucks have pretty much just rolled right over the Pistons here in this series and would like nothing better than a 4-0 sweep and some down time. The Bucks stingy defense took game one by 35 points (121-86) and then again in game two by a 120-99 margin. Of course it doesn't help that the Pistons have been without one of their best players in F Blake Griffin who missed game two with knee injury. Griffin is doubtful for game three here tonight and that really hurts this Detroit club. The Bucks are now 5-0-1 ATS their last six against the Pistons. I don't see much chance for the Pistons here in game three. Play Milwaukee. 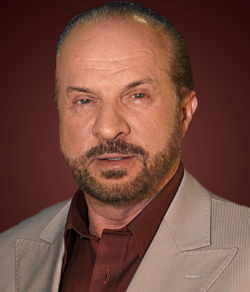 Jim Feist is the recognized leader in the sports information and sports gaming industry. For more than 30 years his acclaim has become unparalleled, with numerous wins in prestigious handicapping contests. His other endeavors include websites that provide sports information worldwide. Feist is the principal panelist on PRO LINE, America's premier handicapping television show on the USA Cable Network. Year in, year out, Jim sets the standard for all other handicappers to gauge their own success. Experience, knowledge, and a limitless number of contacts and sources throughout the country make Jim the undisputed champion in sports handicapping. For sports information there's only one person to turn to: Jim Feist.